Investors need to keep track of their mutual and exchange traded funds, individual stocks and bonds for many reasons. You want to examine your investment returns, fees, asset allocation, as well as plan for retirement and more. Of course you can do it by hand or with an investment tracking spreadsheet, but with the excellent investment portfolio management software available, why bother? From free investment software, to a one-time payment or on-going fees, there has never been a better selection of investment management software on the market. Both price and features matter and we’ll explore both. We’ll start out with the free wealth management software, next the investment and portfolio management tools that charge an ongoing fee. 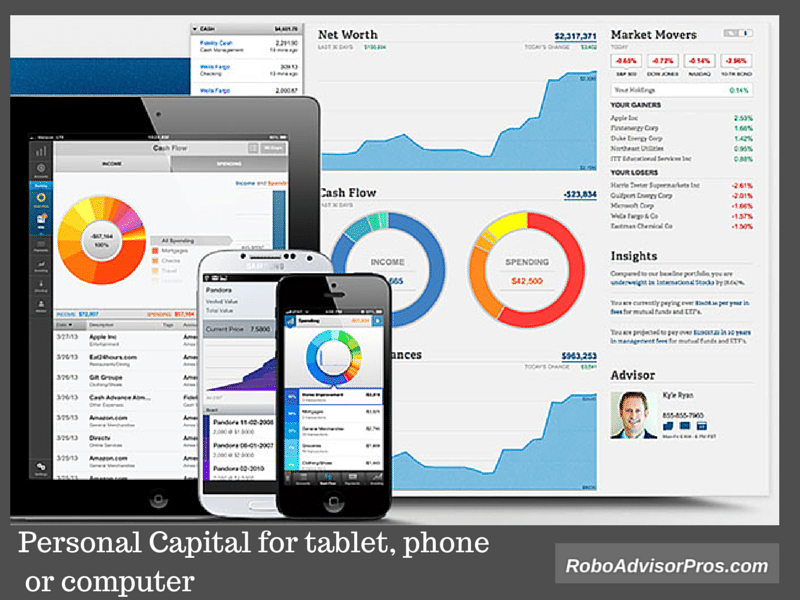 Personal Capital may be the perfect free investment and portfolio management software. The platform, with mobile and computer access has a load of features. The easy set-up takes a few minutes to sync your accounts after which your personalized dashboard is available. The Personal Capital finance dashboard incorporates all of your bank, credit card and investment accounts and gives you a 360 degree view of how your investments are performing along with other useful money information. The investment check-up offers priceless tools. The overriding question that the investment check-up answers is “Could your portfolio give you greater returns for a reasonable risk level?” The program answers this question by comparing your current asset allocation to the recommended target, and recommending improvements. The retirement planner calculator tells you best and worst case retirement scenarios. It shows how much monthly spending your current portfolio will allow throughout retirement. This is my “go to” resource to check on and analyze my investment performance, and income versus spending. It’s extremely easy to use and it automatically updates, unlike Quicken, where I must manually update my portfolio. One of the best aspects of Personal Capital is how fast and seamlessly your accounts are linked! You can be up and running in minutes! I was amazed at how fast my complicated investment portfolio was uploaded and analyzed. I have more than 10 accounts with multiple investments within each account. I just did a retirement analysis yesterday, and increased my annual spending projections. The new retirement analysis showed that I’m still fine at the new spending level. It was fast and easy. The only caveat with this tool is that you may need to field a call from a Personal Capital representative. Other than that, the tools are all free to use. I’ve used this investment software and appreciate how all of the accounts auto-populate so that I don’t need to input data. In fact, this free product just might be superior to Quicken portfolio management software (which I also use). For more detailed information about the free Personal Capital portfolio management platform, read our expert review. The popular and free Mint.com investment and money management web-based software has a lot going for it. With quick linking to your accounts, similar to Personal Capital, you get a quick overview of your financial picture. Mint tracks all of your financial accounts including credit, banking, investment and retirement. Mint also highlights your fees, so that you know how much of your money isn’t being invested for your future. The Mint investment and portfolio management tools are satisfactory for beginning investors. Mint claims to help “Get the right tools for your investment style.” The online portal offers tips and advice for both active and passive investors. Although, Personal Capital is a more sophisticated alternative than Mint for investment portfolio management. In general, for intermediate and advanced investors, Mint is too simplistic. Yet, if you’re looking for a free basic money management, saving, spending, budgeting and tracking tool, it’s worth a look. Quicken’s been my go-to financial management software for decades and I continue to use both Quicken and Personal Capital to view and analyze our investment portfolios. Quicken recently launched an annual subscription model to the software to supplement the desktop application that you install on your computer. The program also has an online app and portal for on-the-go money management. Similar to Personal Capital, after syncing your checking, saving, debt and investment accounts, you have a comprehensive financial management portal. The Quicken Premier platform is both basic money management, budgeting, debt tracking and cash management software as well as a comprehensive investment portfolio management program. In addition to the investment capabilities there are robust income, expense, budgeting and money management capabilities. This all sounds great, but I’ve had problems downloading data from several of our investment and credit card accounts. I’m not certain if increased security from the banks and brokerages is to blame or the Quicken program. The platform recently updated so I’m hopeful that they’ve addressed the downloading and synchronization issues. Quicken just offered a subscription model, in addition to their purchase option. If you purchase the Quicken Deluxe 2019 through Amazon, you get a 14 month subscription for $54.99. If you’re a small business owner, you might appreciate the Quicken Home and Business 2019 Personal Finance and Budgeting Software annual subscription. Like Quicken Deluxe, this download also offers an additional two months for a total of $104.99. Investment Account Manager is sophisticated investment portfolio management software. The product was designed by professional money managers and used by investors globally since 1985. The goal of the software is to help you understand and manage your investment portfolios. The software for individuals is suitable for both newbies and seasoned investors. Actually, I used this software in one of it’s earlier iterations many years ago. (I reverted to Quicken due to Quicken’s ability to handle budgeting tasks along with investment management). Investment Account Manager is designed for investment management, not budgeting, debt or other financial management tasks. You can track an unlimited number of portfolios. Each investment portfolio is handled individually and transactions are segregated by account. This helps the investor to create portfolios by objective and track according to distinct parameters. The reports section allows you to customize reports and even create reports that combine portfolios. For example, Investment Account Manager allows you to combine all portfolios and review your overall asset allocation (stocks, bonds, cash and other) and on a granular level by stock sector and size. The data helps you determine if you’re meeting your investment goals. This pdf details the 20 distinct reports available through the Investment Account Manager. I spent way too long looking at the report data. From detailed cost basis data to customizable income reports the reports give the investor all the information she might need. As this software is for investment tracking only, you’ll find specific data for many types of assets including; cash, money market funds, US Government, agencies, and tax-exempt bonds, corporate bonds, preferred stocks, mutual funds, exchange traded funds, common stocks, options, and other investments. You can download the data from your broker or input manually. The rebalancing feature makes it easy to see if your portfolio is out of balance and what securities need to bought or sold to return to your preferred allocation. There’s even a sector weight allocation option. Two more of my favorite features are benchmark comparisons and for individual stock owners – fundamental ratio analysis tools. Additionally, Investment Account Manager also offers a professional version of the software for financial advisors. There is so much meat in this software, that the serious investor and possibly the casual investor as well will benefit from this Investment Account Manager. The investment management software is compatible with the Windows operating system, and users can run the software on a Mac with windows emulating software. You also get a 90 day free trial, which is quite generous! After the trial, the reduced fee is $99 per year with the QuoteMedia data feed or $69 without. From Owl Software, this Investment Portfolio Management and Analysis Software is designed for investors and professional portfolio managers. The company also offers Personal Portfolio Manager for individual investors. Master Investor 6 enables investors and professional money managers to track and analyze investment portfolios comprised of stocks, bonds, funds, options, and other assets. We believe that this investment management software is the only retail product that includes technical analysis with portfolio management. The 37 available investment reports can be customized to include any time span and combination of portfolios. Create up to 999 portfolio with accompanying reports including one or more portfolios. Other components of this portfolio management software include on-line quote updates, asset allocation reports. Sophisticated investors will appreciate the IRS-compliant record keeping for complex trades. Finally, the software can analyze total returns of specific assets, to pinpoint your best and worst performing investments. The software is available for Windows 95 through Windows 10. The fee for the Personal Portfolio Manager software is $69.00. Add on features include download protection for $10.95 and a backup CD for $13.95. There is a 30 day free trial. These portfolio management software platforms fall under the robo-advisor umbrella as well. The following companies charge low ongoing management fees and don’t require you to transfer your assets to their firm. In addition to managing your assets, they also offer portfolio management features. Anyone can use the free SigFig investment manager. 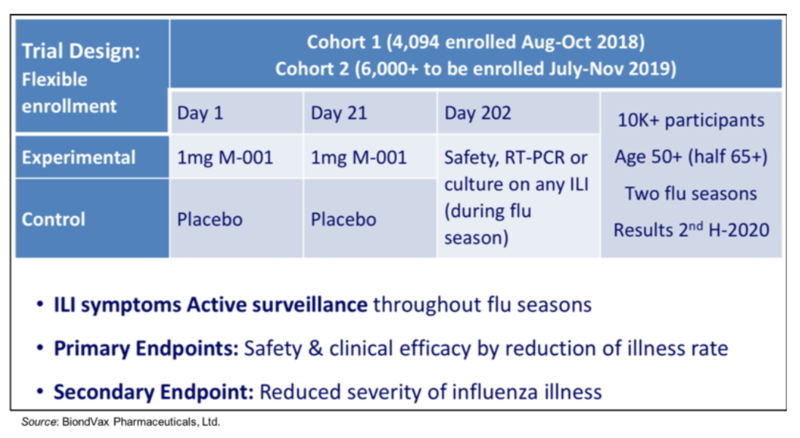 If you want to try their robo-advisory investment manager, SigFig is a competitive service. Many low-fee robo-advisors require you to move all of your assets into the company account. SigFig offers portfolio management for investors with existing Fidelity, Schwab, or TD Ameritrade accounts. This is a convenient feature, especially if you have a larger portfolios and want to avoid the tax implications and complications of transferring your existing investments. Our SigFig Review drills into this independent portfolio optimization platform that helps everyday investors track over $350 billion in assets. Through its partnerships with Fidelity, Schwab, and Ameritrade, the company’s algorithmic investment strategies work to analyze, monitor and improve any portfolio, automatically balancing and diversifying investments, while reducing risk and minimizing fees. SigFig’s Asset Management technology instantly analyzes your current investments, learns about your goals and risk tolerance, and tailors an individualized portfolio strategy. The automated systems constantly monitor and optimize your investments while reducing management fees. An investor with a $20,000 account will pay an annual 0.25% or $50.00 for the investment portfolio management fee. SigFig will tracks all of your investment accounts, regardless of where they are held. Similar to SigFig and Personal Capital, FutureAdvisor offers a free personal investment analysis. You can receive personalized recommendations for your portfolio indefinitely. You have the option to follow the FutureAdvisor investment management recommendations or not. The investment analysis and advice is free forever. The paid FutureAdvisor robo-advisor is where you’ll get the most comprehensive portfolio investment management. FutureAdvisor, a subsidiary of BlackRock global investments, manages your accounts held at either Fidelity and/or TD Amertrade. Their approach is to build diversified and tax-efficient investment portfolios. Similar to other automated investment platforms, FutureAdvisor recommends low fee exchange traded funds in their portfolios in accord with the consumers risk profile. The company also rebalances your portfolio when necessary. Bonus; Quicken vs. Personal Capital – Which One is Best? After a 3 month free trial, the investment management fee is 0.50% of AUM. As with all funds, there are also low underlying ETF management charges. Investment portfolio management software is useful to track returns, asset allocations and individual investment performance. From DIY spreadsheets to robo-advisors, there are many available options. Choosing an investment management system ultimately depends upon the features you’re seeking. Regardless of which option you choose, the free Personal Capital dashboard provides excellent investment insights and is quick to set up. It’s worth signing up for Personal Capital, whether you choose another option or not, because of the detailed investment tracking and it’s free. In addition to these top 6 investment portfolio management programs, there are many additional low fee robo-advisors for your investment management needs. Check out our ever-growing Robo-Advisor Pros; Reviews and Commentary section. 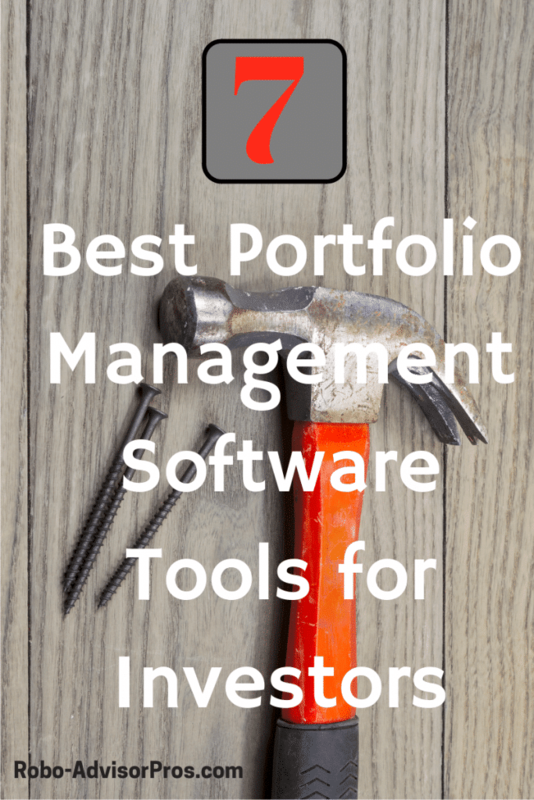 The post 7 Best Portfolio Management Software Tools for Investors – 2019 appeared first on Robo-Advisor Pros.